Driving through Elmdon, I spotted a triangle shaped parking area with a footpath sign at its edge. This is where the walk starts. Head down the footpath, and you'll come to a crossroads where you can choose the next part of your next route. It's well signposted. I've colour coded my routes on the map. 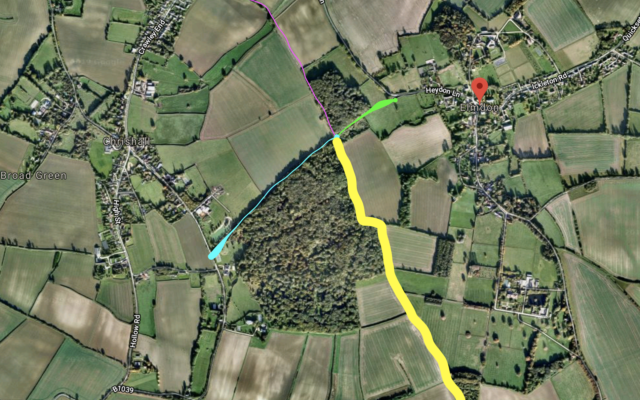 Pink route: Turn right and head into the woods if you're looking to visit the northern edge of the village of Chrishall. 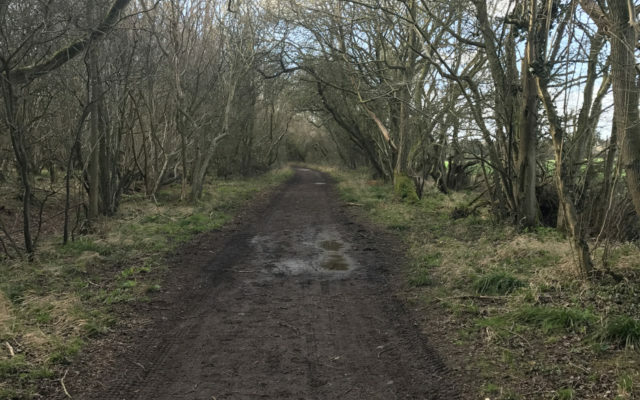 It's a fairly easy walk past woods and fields, and makes a nice stroll. 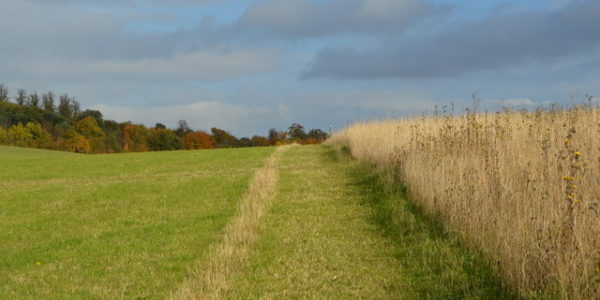 Blue route: Go straight on and follow the path if you want to get to the southern edge of the village of Chrishall. 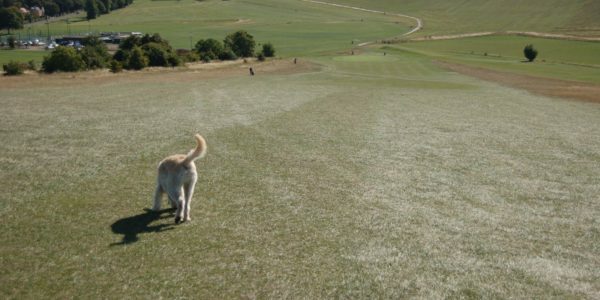 This is not a long walk at all, with a nicely compacted surface, so fairly easy underfoot even when the rest of the area is boggy. 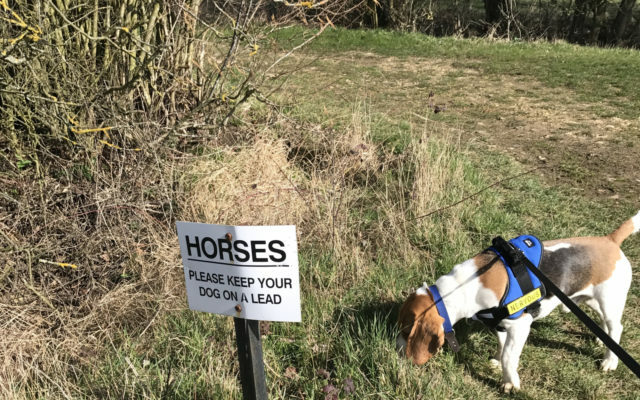 I have encountered horses on this path a few times, so do be ready to put the lead on at short notice. 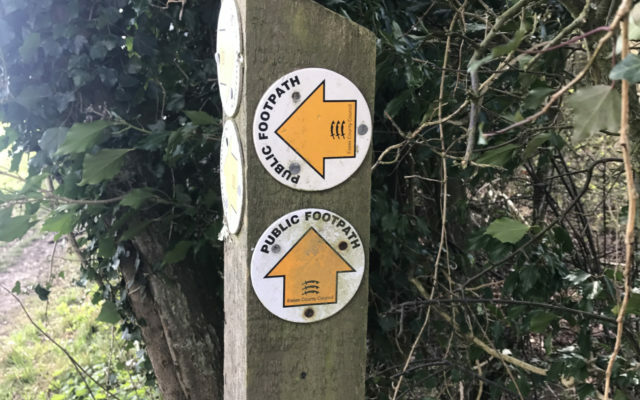 Yellow route: If you're looking for a longer adventure, turn left and follow the footpath signs around the edge of a farmer's field. This bit is very boggy if it's been raining, so wear your wellies. Once you've done nearly two sides of the square, look out for the sign directing you into the neighbouring field and cross into the area I call "the paddocks". 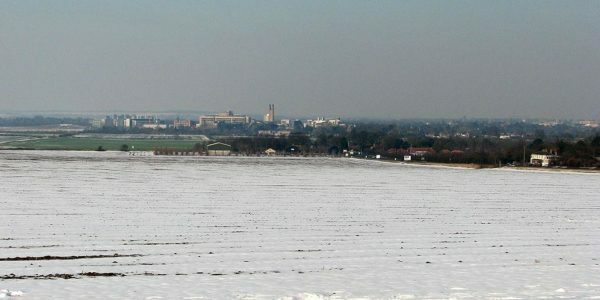 This large area of land is full of well fenced horse paddocks, and is (I think) part of the Hugo Lascelles Equestrian Centre where they breed racehorses. 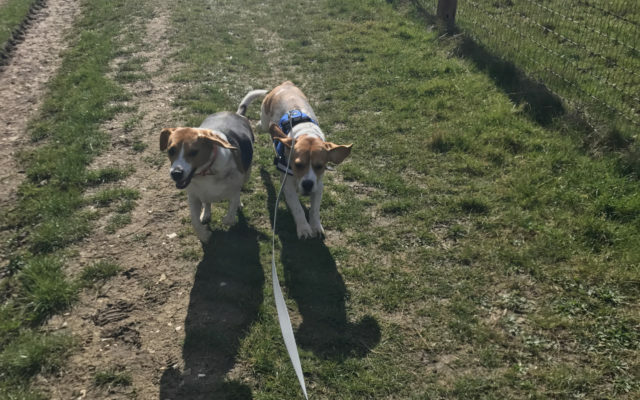 There are not always horses in the paddocks, but it's worth knowing in case your dog is reactive. 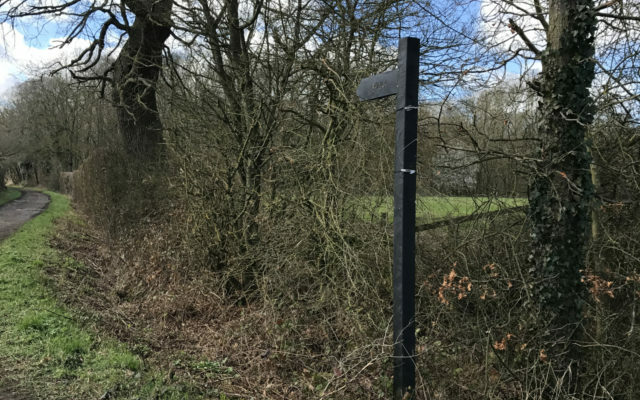 The owners have been very good and put up lots of signs which tell you which paths are private and which are the public footpath. Follow the route down the hill towards the village of Pond Street. I believe you will eventually emerge onto the B1039, where you can cross over the road and head towards Duddenhoe End and Langley, although I've not got that far - yet! 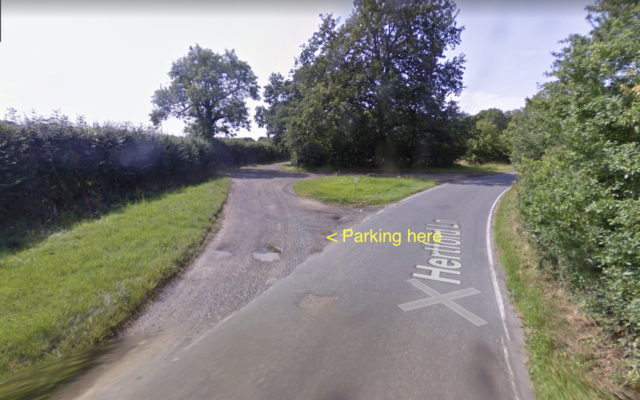 Nearest postcode is CB11 4NH, but if you are driving through Elmdon, the parking area is just past the village limits sign.